Discuss several reasons children might become bullies. A common reason why kids bully is because he/she lacks attention from a parent at home and lashes out at others for attention. This can include neglected children, children of divorce parents, or children under the regular influence of drugs/alcohol. What are some reasons children might be picked on? Targets have personal vulnerabilities, few or no friends, have physical features that cause attention, illness or disability, different sexual orientation, different cultural or religious beliefs, or belong to a different racial group. 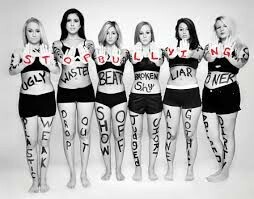 How can you tell who a bully is? You can tell if you're a bully if your sense of humor is directed to one person and the way they look,act or believe. You can also tell if you're a bully if you have to act “tough” around others and if your main goal is to have power over people. 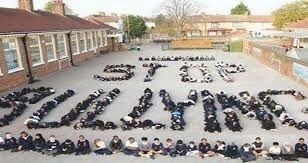 What are three things a person can do to stop bullies? What is good about each of them? What are the drawbacks? 1) Take action and go tell an adult about the situation that is taking place. The good thing about telling an adult is they will take care of the situation immediately. The bad thing about telling an adult may get that kid picked on even more than he/she already is. 2) Avoid escalating the situation. Teasing and/or trying to fight back only makes you just as/or if not more a bully yourself. The good thing about this is that it may calm down the bully by you not responding and taking it all in and not showing it phases you. The bad thing about this is that it is very hard not to say anything back because when someone's saying hurtful things about you, it's very tempting to say something back. 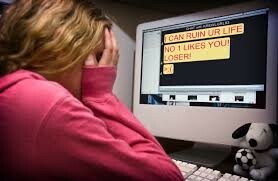 3) Don't respond to any attempted cyber bully attacks. In this situation, you should save the evidence, block the bully, and change your account settings to make it more difficult to find you online. The good thing about this is it is proven evidence that someone is trying to bully you and can be proven very easily by showing the messages or post that have been about you. the bad thing about this is that if posted online everyone is able to see it and it may be hurtful or embarrassing. How many kids are bullied each year?